All children’s’ sleeves should come with sewn in hankies for the inevitable nose slide up the arm. 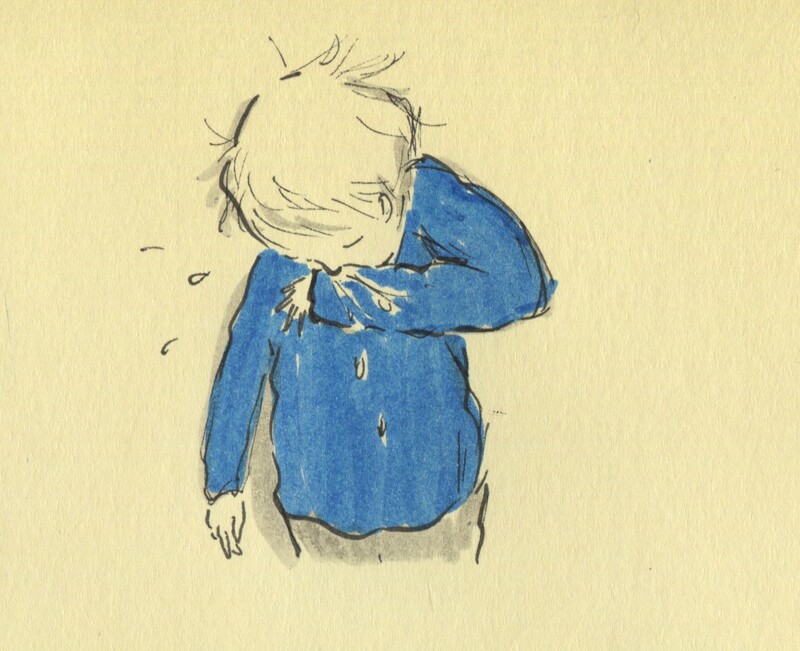 Posted on March 22, 2013, in Uncategorized and tagged Children, Colds and flu, Doodlemum, Drawing, Family, Humour, Illustration, Life, Pen and Ink, Sketchbook, Snot. Bookmark the permalink. 9 Comments. We’ve had that as well. We started out with a general virus, then lung infections. After that we were hit by novovirus and now we’re back to having lung infections again. I don’t think there’s enough Dettol in the world to get us back to health again! Hopefully when the warmer weather comes, it will kill off all these bugaboos and we’ll be back to health….oh sorry, my boyfriend has just informed me that warmer weather means the allergy season *eye roll*. Well I hope we all get better soon aye :)! And where do kids learn such a nasty little habit? My boys are too little to be around other kids much, and mommy and daddy don’t do such a thing so I’m beginning to think its an instinct they’re born with. Your drawing are beautiful, btw! Oh, you are SO right! My mother taught my son to keep a hanky tucked in his sleeve for that purpose! It’s like an automatic reaction for children. We all did it and now our kids are all doing it.